Noir Drive is based on the tradition of classic Hollywood film noir like the Maltese Falcon. It plays in Sydney in the year 1952. Main character Reilly is a private investigator. Reilly is back in his bureau after one month of absence from Sydney. Janitor Jerry Vane has been impersonating Reilly secretly. Jerry has taken a missing persons case. A insurance company is searching for Alex Pleshette. Reilly went to their office to drop the case. But the owner Max Arnett claims he never hired Reilly to search for the missing person. On the way back to his office two thugs beat Reilly and tell him to lay off the Pleshette case. A short time later a young woman arrived at Reillys office. It is Mrs Pleshette. Her name is Alexandra or shortly Alex Pleshette, she is the missing person. Her husband Donald Pleshette, a tycoon, was killed. Alex was knocked unconscious by the killer and as a result she is unable to remeber the things happened. Jack Bosley, a police detective friend of Reilly, informed him about Alex lover, Gabe Preston, Donald´s business partner. Reilly things that Preston is the offender, but Bosley knows that he had an alibi. Reilly asked Vane to follow Max Arnett. At the end he gets some photos of Arnett and Preston. Reilly rushes off to the Pleshette mansion, but he is too late. At the end Gabe and Alex stayed on a tropical island. Alex´s memory then triggered by the pop of a champagne cork. Gabe is the murderer of Donald. Now Alex is married with Gabe and she is unable to testify against him. 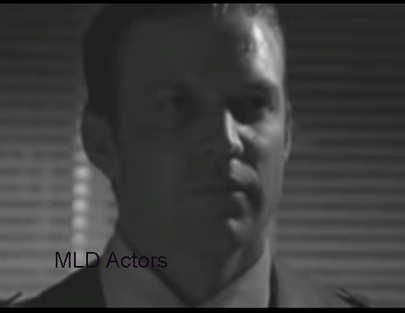 Private investigator Reilly was acted by Matt Passmore at Noir Drive.